Applies to prepaid members, all Cabinet level members and Gold Corporate memberships. Table for up to ten guests. If you are a member, please login to register. Please join PCFR for a dinner discussion with Dr. Andrew Selee, President of the Migration Policy Institute. Even as politicians debate whether to build a wall on the border between Mexico and the United States, the real barriers between the two countries have been dropping dramatically. Mexican investment is creating jobs in American communities, shared manufacturing across the border has boosted the fortunes of the auto industry and many other American industries, binational technology clusters are producing innovative new technologies, and more Americans are moving to Mexico these days than Mexicans to the United States. Nowhere are these changes more evident than in Arizona, which depends more on Mexico for its economic well-being than any other state in the union, and which has been more innovative than any other state in embracing and harnessing the opportunities that come with cross-border collaboration. Andrew Selee has been President of the Migration Policy Institute, a nonpartisan institution that seeks to improve immigration and integration policies through fact-based research, opportunities for learning and dialogue, and the development of new ideas to address complex policy questions, since August 2017. Prior to that, he spent 17 years at the Woodrow Wilson Center, where he founded the Center’s Mexico Institute and later served as Vice President for Programs and Executive Vice President. He has also worked as staff in the U.S. Congress and on development and migration programs in Tijuana, Mexico. Dr. Selee’s research focuses on migration globally, with a special emphasis on immigration policies in Latin America and in the United States. 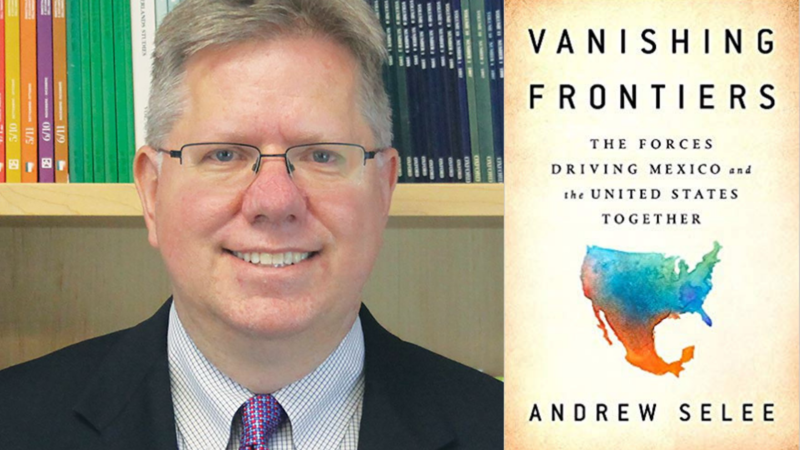 He is the author of several books, including, most recently, Vanishing Frontiers: The Forces Driving Mexico and the United States Together (PublicAffairs, 2018) and What Should Think Tanks Do? A Strategic Guide to Policy Impact (Stanford University Press, 2013). He is also coauthor of the MPI policy reports Trump’s First Year on Immigration Policy: Rhetoric vs. Reality (January 2018), Creativity Amid Crisis: Legal Pathways for Venezuelans in Latin America (January 2019), and Changing Patterns of U.S.-Mexico Migration (forthcoming). He holds a PhD in policy studies from the University of Maryland, an MA in Latin American studies from the University of California, San Diego, and a BA, Phi Beta Kappa, from Washington University in St. Louis. He was selected as an Andrew Carnegie Fellow for the 2017-18 period.